Engineering aspirants have already started aiming towards the next year’s JEE and have begun their preparations. With the increase in entries of JEE Main every year, the process of cracking the exam has become difficult. It is mandatory to score well not just in one, but 3 important subjects such as Physics, Chemistry and Maths. 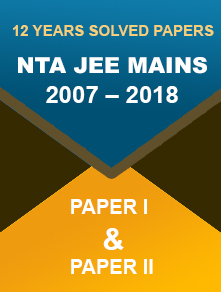 Quick Notification: From the year 2019, the National Testing Agency will administer the JEE Main exam twice in a year. The first edition will be held in January (06 to 20), and the April edition exam will take place from 7th to 21st. The submission of online application form will soon begin from 1st September 2018 and in the 2nd week of February 2019 for the January and April exams respectively. Put in the constant effort and don’t let your aim get diverted. The more focused you are, the better is your chance to crack the exam. Put together a concentration strategy for all three subjects. You may like one subject more than the other two; hence, work towards making that your strong point and don’t lose any mark on it. Recognise your weak points and work harder on the other two subjects. Understand the concepts thoroughly. 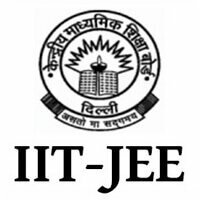 JEE questions are not direct like that in school and need you to apply different concepts. Thus, having a proper understanding of the concepts is necessary. Take practice tests and solve as many problems as you can in a day. A student on an average solves at least 5000 problems a day during his preparation period. Stay away from temptations such as laptop, smartphones and social media. All this would only divert you from your aim. Look for a way to not get tempted and avoid them completely. Make a proper time-table for yourself - this would divide your study and activities time. Take out time for revision after each chapter or topic. While taking the test, attempt only easy questions first, and then move towards the moderate and difficult questions. This is a very successful strategy that has helped thousands of students over the years. Do not panic if you encounter a question that you do not know about. Leave that question and come back to it after a while. This might help you come up with an answer for it. As the questions are in MCQ format, do not straightway start solving the question. Read the questions carefully and you might just crack a problem through the elimination process. Stay optimistic - Always try to keep a positive approach not only towards your studies, but also rest of the activities. This will keep your mind stress free, ultimately boosting confidence. When preparing for an entrance exam of such a level, it is essential to maintain a completely healthy and balanced diet. Include fresh fruits and vegetables in your diet instead of munching on fizzy drinks and junk foods. Do some mild exercises regularly like a morning walk, a little bit of stretching, etc. to keep yourself healthy and active. How to Score 250+ in JEE Main Exam? With merely 4 months in hand for the JEE main exam preparation, you need to develop a smart approach on the basis of your strength and weakness if you aim to score more than 250 marks in the upcoming Joint Entrance Examination Main 2019. The above-mentioned tips would surely inculcate confidence and make you exam-ready. Remind yourself every day that “I can do this”, you would be free from the exam stress and clearing JEE Main 2019 wouldn’t be that challenging. Candidates seeking the best JEE Main books can check this link out. It comprises books that are recommended by experts and teachers. 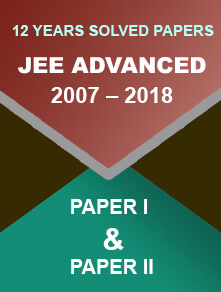 https://www.examsplanner.in/articles/jee-main-recommended-books/.